Interesting facts: visited by Pioneer 11, Voyage 1&2, Cassini. it has rings, internal heat source. One of my favorite hobbies is astronomy, but I’m currently without a decent telescope so I take advantage of computer software and the internet to satisfy my desire to explore the heavens. I have two favorite astronomy packages – Starry Night and Voyager – both are loaded with features and very good for people with passing interest in the stars and planets, as well as more serious hobbyists. Right now I am testing and reviewing Redshift 7, another astronomy package for Windows, and I’ll post my review here as soon as my evaluation is complete. 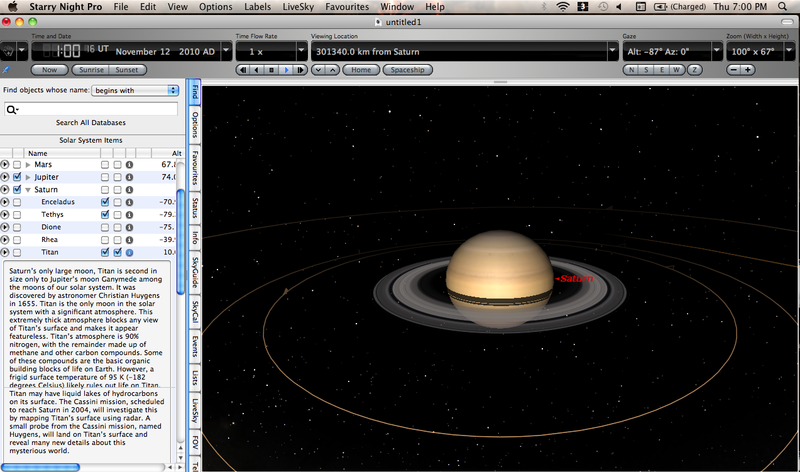 This evening I started Starry Night up after booting my Macbook and took a quick jaunt to Jupiter and Saturn. 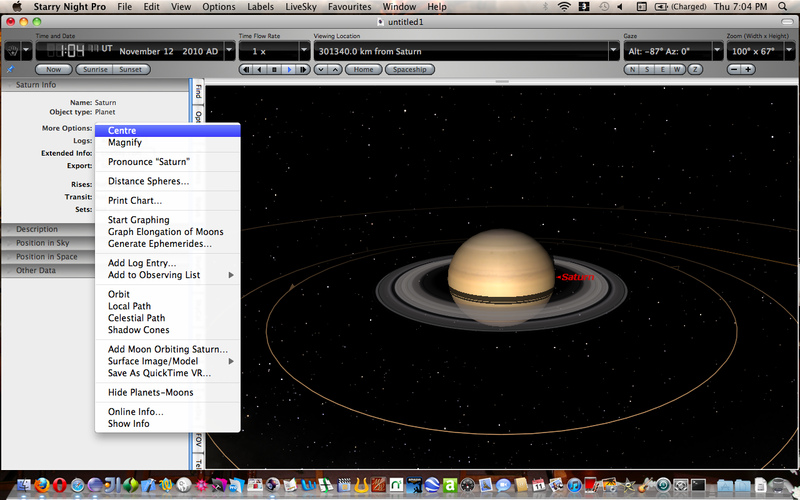 My last astronomy post dealt with Jupiter, so let me discuss Saturn tonight. Saturn is a gas giant, is the second largest planet in our solar system, and is the 6th planet from the sun. Most people know about the rings surrounding Saturn, which are made of ice and rocks. As you see at the left of the screen, we’re looking at the Starry Night Find tab and see some data about the planet and moons. If we want more data then we need to switch to the info tab and select the More Options button. Quite a few options. 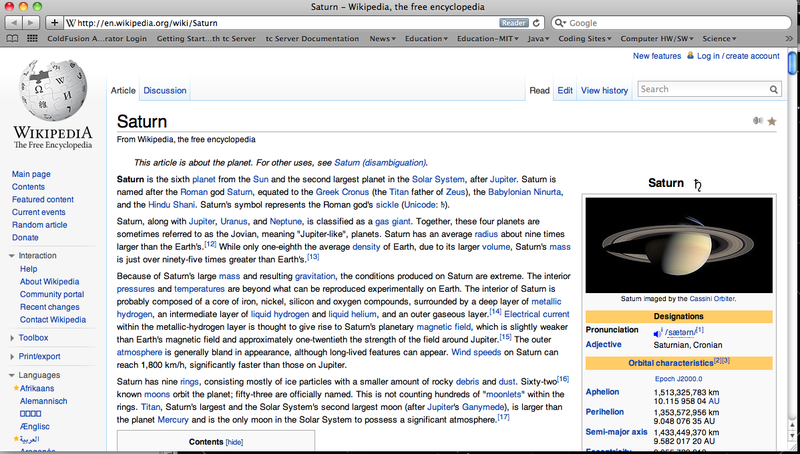 If you need more information about this gas giant, select the Extended Options button, which launches Safari and looks for information on Saturn in Wikipedia. When I think of the first astronomy program I used on a computer (an open source program), I am amazed and pleased how far this genre of software has evolved over the years. Instead of sitting out in the cold and hunched over a textbook to glean data about dim astronomical bodies, we can learn about the planets and stars in our classrooms, homes, and as we travel. The current generation of people in high school and college will have the opportunity to travel into space on one of the commercial space craft now being developed. I imagine that same generation will be able to travel to the moon and maybe even to Mars. If this interests you even a little, take the time to set aside time spent watching TV or playing games and see some of the wonders in the skies above you. The images of planets and stars now available to people is impressive, and what you see now may be something you see in person in the future. I should also mention that people using iTunes should check out iTunesU. Professor Nemiroff at Michigan Technological University has posted all of his lectures for PH1600, a college-level introduction to astronomy. They are informative, easy to watch, and absolutely worth the time to download and view. There are other astronomy courses at iTunesU, so take the time to check them out. 6-24-2011 – Added Orbital Period, Average Distance from Earth Information. 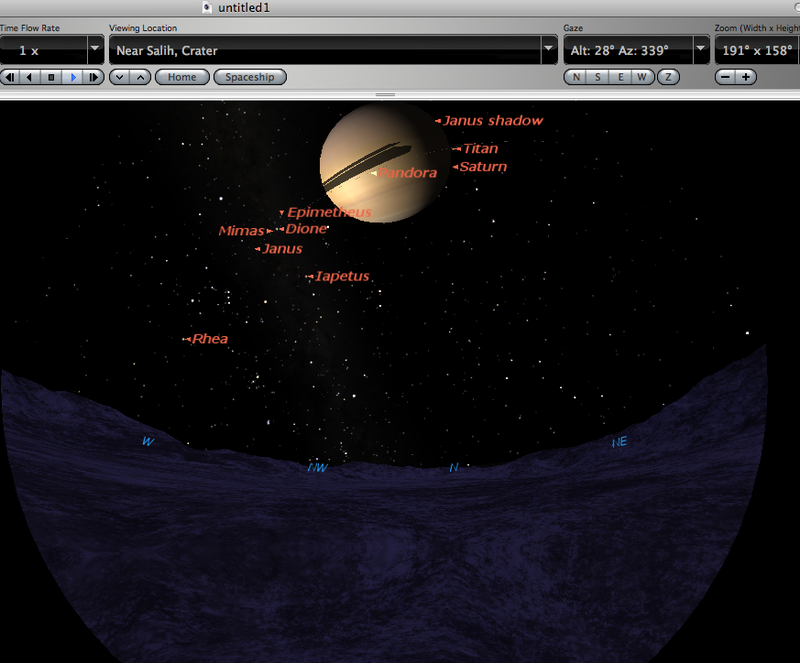 2-14-2011 – Added names of all moons.